There's a new wellness sanctuary in town where you can go recharge. 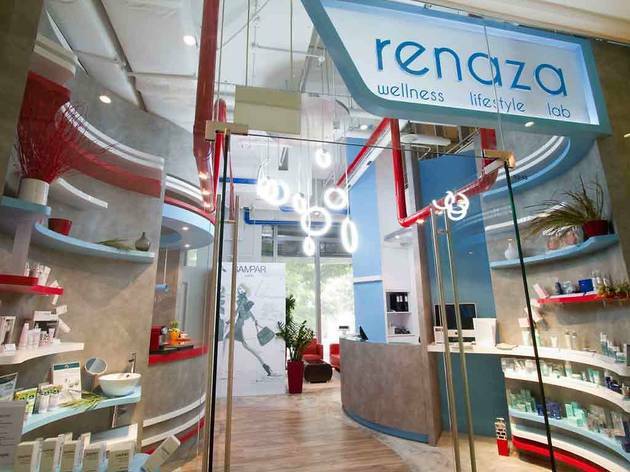 Meaning 'reborn' in Spanish, Renaza is a multi-concept spa that features a large retail space, treatment rooms, an in-house juice bar serving complimentary refreshments and a relaxing lounge. Try the Four Layer Facial (from $250). The premier anti-ageing treatment uses Repêchage products from the US, formulated with European seaweed to tone and firm up skin.